The Armenians and Ethiopians actually share DNA in large amounts. There are studies which prove there was a migration of Kushites into Eurasia and there were prehistoric back migrations from Asia into Africa. 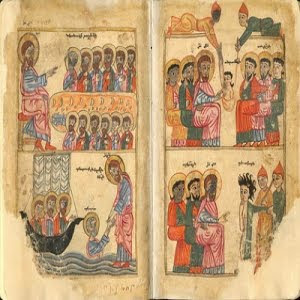 Armenians and dark skinned north-Africans most likely birthed the entire middle east as we know it today. The Amhara seem to be more connected to Armenians than the other racial groups in Ethiopia. They are such a dark complexioned tribe of whites to be far from the Greco-Italian tribes next to the Mediterranean. Ethiopians are now White? LMAO I’m sure this comes from someone who classifies Nicki Minaj as “black” while calling east africans “Caucasians” and “Mixed breeds”. This manipulative post was a comment on Armenian site. How can the skinniest and shortest people in africa be the ancestors of tough and hairy people of Caucasus? Armenians are closer related to Cheches and Turks. This story doesn’t even make sense. Even more doesn’t make sense because you’re a pyramid head. You grabbed a Mongolian nomadic tribal system in turks to relate them with Armenians, while Armenians were Armenians in Armenia for 5000 years and populated eastern Anatolia (present day turkey) hence then, while turks flooded into Anatolia in 11th century BC. Your way of thinking tells me that you’ve escaped from iron-wrought cage. How did that happen? As for chechens they too are nomadic exclave of central Asian nations, namely in Turkmen and Tajik. BC. Go check your facts before your desire to represent central asian speaking turks to have European origin. They stole everything on their way, including Armenian DNA by force. Cant escape from truth. Even more doesn’t make sense because you’re a pyramid head. You grabbed a Mongolian nomadic tribal system in turks to relate them with Armenians, while Armenians were Armenians in Armenia for 5000 years and populated eastern Anatolia (present day turkey) hence then, while turks flooded into Anatolia in 11th century BC. Your way of thinking tells me that you’ve escaped from iron-wrought cage. How did that happen? Only 20% of turkish population comprises of genuine (non turkification) turks, known as oghuz Turks from Central Asia. With current admixture of Turkish population you’re not going to have a precise DNA results due to the fact that most DNA tests taken from present day Turkish population do not belong to native Turks but rather they belong to Armenians, Greeks, Kurds, Assyrians, Syrians etc. and these natives are the native inhabitants of ancient Anatolia. Turks migrated to Anatolia in 11th century BC. that’s why when DNA test is ran on Turkish population it shows the general population of the turkey and different ethnic mixtures. And of course Turks in the meantime benefit from the mainstream of the native Anatolian population. They even claim that hittites and akkadians are their ancestors. They throw everything out there to see what sticks. I don’t think we came out of Africa. I think we were all over the world and other types came from somewhere else, even if its just from the north. Saisiyat of Taiwan hold festival every year to commemorate the indigenous little black people that they exterminated. But St Patrick himself is celebrated for doing the same thing. I love your response. Never be ashamed of who you are. And I bet your beautiful. Good for you! I’m Black American and my first child (a son/b. 1982) is Armenian. Not that much of a surprise. Ethiopians are a mix of all kinds of people. Ancestors of most Ethiopians are partly from Arabia, the Sabaean families. Ethiopia and Armenia have been trading since 1st century AD. Armenia became the first Christian state in 301 AD, Ethiopia was the second Christian state in 324 AD, both Orthodox christian states. There has been a considerable Armenian population since pre 1900s, and additionally Haile Selassie I adopted 40 Armenian children (“arba lijoch”). There has been this strange connection to Armenians in Ethiopia more so than any other Euro-Asian country. I knew an Armenian Ethiopian growing up, I think we are pretty similar, not surprised there is genetic proof to back it up! ? True. 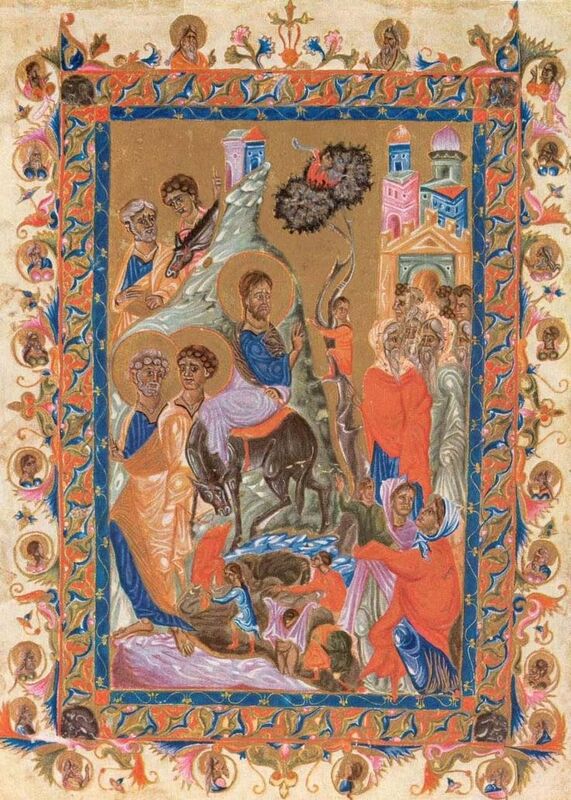 The King of Armenia in the 2nd Century declared all Armenians will become Christians (the king could do that at the time, apparently), and said to denote this, all Armenians will add the last three letters from the word “Christian” to their names, hence what we have today. Some have changed from “ian” to “yan”, probably the Russian-Armenians of today. On top of it, there is a small town by the name of Armenia in the central Shoa region close to the capital Addis Ababa. The tradition of Amalekites in Armenia has to do with the coming of Nimrod and the Nabataeans, i.e. the original Aramaeans who had settled in Jordan, Syria and Mesopotamia. Aram is a place in Hadramaut in Arab tradition. Armin was by tradition a grandson of Kaush -Melekh, otherwise according to medieval texts was Nimrod son of Cush or “Namrat” or “Numayr ibn Cassit” a historical tribe from the Nejd in Central Arabia and living in the Nabataean kingdom related to the present day Kab or Chab (Tsiab) tribes in Mesopotamia. The other name for these people was Amarat or “Amorites”. These Kab or Chub came from the same group as the Banu Rabi’a (Rabbeans? ), Beni Amir bin Zaza, Wa’il ibn Cassit, Taghlib and other Najd people who came to be called Amorites and Ishmaelites. They are described as tall muscular people who possessed the complexion of Abyssinians (according to Rawlinson), but they have little to do with why the Amhara have so much Near Eastern blood. That has more to do with later contacts during the Christian era. Parthian merchants and other Scythic people also settled along the South Arabian coasts and influenced the people of the Horn as well right before and after the Christian era. “They had their homes in Babylonia, and their first king was Nimrod I, that is, the Great. They were known as Kaldan (Chaldeans), Kasdan (Kasdites), Janban, Jaramiqa, Kutharun, and Kan’anun; these were Nabataeans who constructed buildings, founded cities, dug canals, planted trees,…They were all Sabeans who worshiped stars and idols” Al Dimashqi (Zakeri, Mohsen, Sassanid Soldiers in Early Muslim Society, 1995, p. 148). Al Dimashqi (14th century) said the word “Nabit” meant black, Ibn Nadim and others described the Nabataeans as black. Eitophians and armenians share a lot of common STR s . They share a common DNA. Because of the migration to northward to so called armenia ( no landscape belongs to an ethnicity, that s why so called armenia belong to all human race not to armenians only) from today s Eitophia. The genetic science proved that armenians have African origin where they migrated northwards. Turks do exist in Chinese , Iranian and Indian historical records 5000 BC and Chechens are a native Caucassians which appears on Roman and Eastern Roman and Greek historical Records 3000 BC. Chechens are native Caucassians who exist in Caucassus mountains thousand of years before armenians came to Caucassus from Africa. Turks defeated the Eastern Roman legions on 1071 and hundreds years before that severek Turkic tribes lived raided and served as mercenaries in Anatolia such as Avars , Pechengs, Cumans. And most likely j2 Etruscans were proto Turks who colonized the Eagean shores of Anatolia as genetic tests showed there is a connection of Turks and Etrüscans. Turks were thousands years before in Anatolia and Chechens were thousands of years in Caucassus before armenians came from Eitophia.